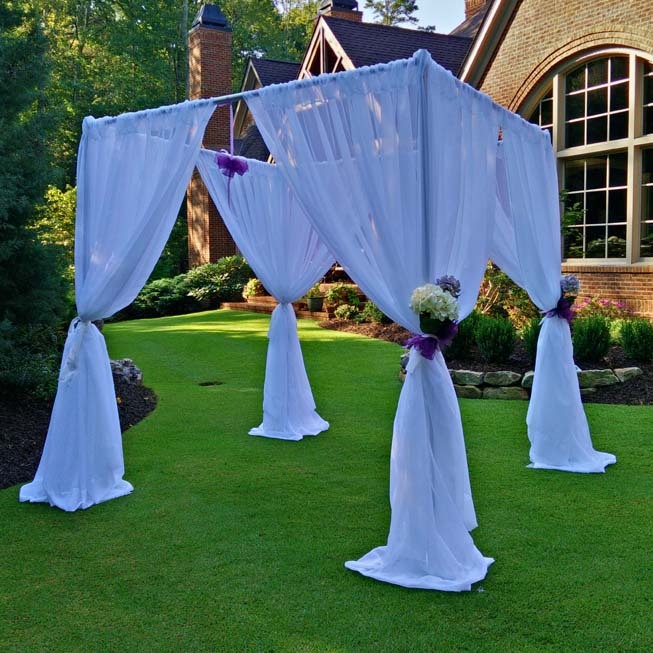 (8) 10′ x 15′ White Sheer Drapes – More colors coming soon! **Please note a cleaning security deposit of – $160.00 is held to insure the drapes are returned unstained /Clean. Do not attach to drapes by Piercing holes, cutting, stapling, taping to- damage will occur to the drapes (client responsible for replacement cost of any damaged/ stained drape)- please attach decorative items only to pipes or secure with decorator clips.